Hey, no updates in a while but it’s been quite a few busy days at the office: the upcoming excerpt chapter on Fortune Points, the metacurrency of Knights of the Black Lily, is currently undergoing editing. That means early access is just a short while away – at least for those who have subscribed to the highest level of our newsletter (“I’m a huge fan”)! The best part: the entire chapter is system independent, so it is ready for Plug & Play into the system of your choice! For everyone else, they will get to access the same content a few weeks later, together with the general public. 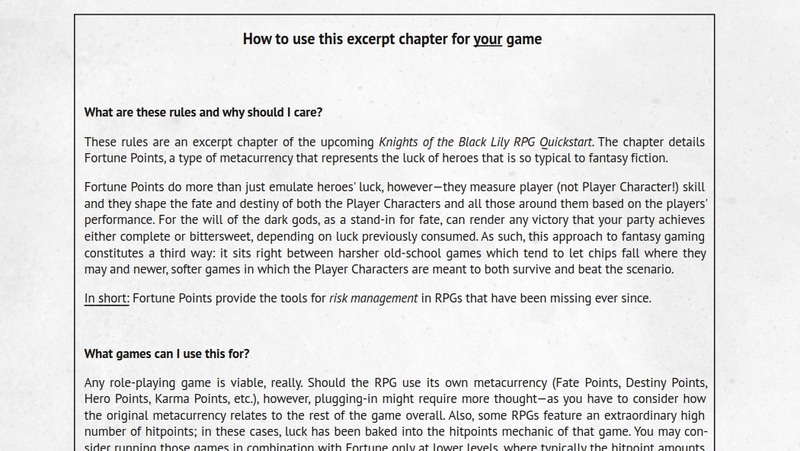 To prepare you for what’s ahead, there’s a screenshot below of the conversion notes for the excerpt chapter. 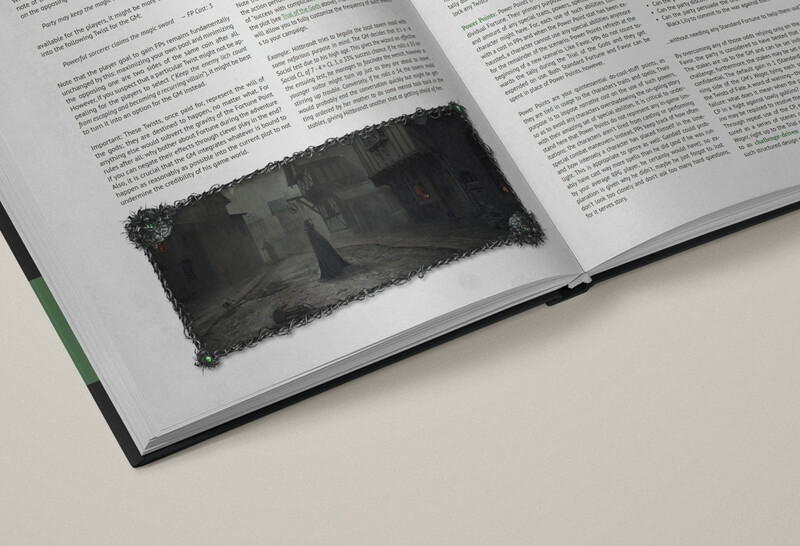 It should be pointed out here that page design of the PDF has only yet begun, so none of this can be considered anywhere near final. So, if you want to experience the thrill and trepidation of adventuring under the capricious eyes of the dark gods, SUBSCRIBE to our newsletter at the highest level or CHANGE your subscription level today (you can do so via a link in the footer of all our emails)!